A woman is in custody after she allegedly carjacked a limo driver and slashed him with a knife. 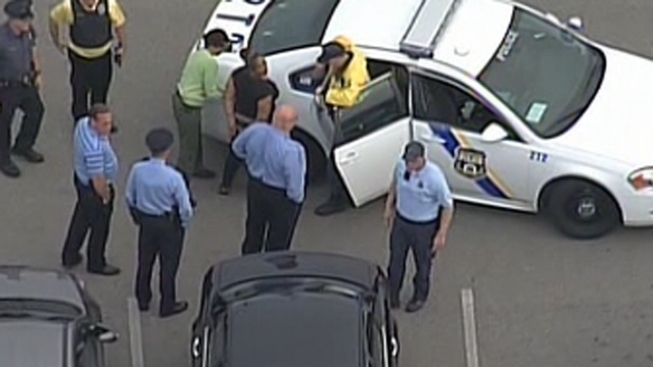 Sources tell NBC10's Nefertiti Jaquez that Festus Adeyemi, a local limo driver, went to pick up a customer at the McDonald's at Adams Avenue and Tabor Avenue in Philadelphia. When he arrived, he was attacked by a woman armed with a knife, according to police. The woman allegedly held the knife to Adeyemi’s throat and when he tried to fight back, he was slashed on the hand. Police say the woman drove off with the vehicle but unbeknownst to her, the limo had a GPS tracking device inside. After the carjacking was reported, police were able to track the limo and the woman down to a shopping plaza in Abington. "That stuff doesn't really happen in Abington," said Emily Grubb, who watched from the window of the tanning salon where she works as police handcuffed the woman. The woman was taken to Northeast Detectives. Sources identify the suspect as 30-year-old Toni Williams of the 5200 block of Montour Street. Sources say Williams has seven priors, including fraud, robbery and theft as well as two active warrants. Adeyemi was taken to Aria Frankford Hospital where he is in stable condition.